There’s something undeniably refreshing about embarking on a lakeside holiday. Whether it’s the fresh air, the soothing cobalt waters or just getting back to nature – we all need to head for the lakes from time to time. 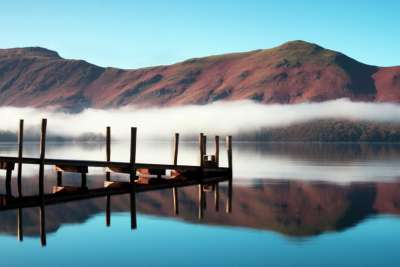 Hence why we’ve assembled 10 lovely lakeside destinations that make for a fantastic break away. There’s fairy tale scenery to dramatic volcanic backdrops and hut villages – so whether you’re a water baby, an adrenaline seeker or a lakeside lounger, you’ll find something to suit! 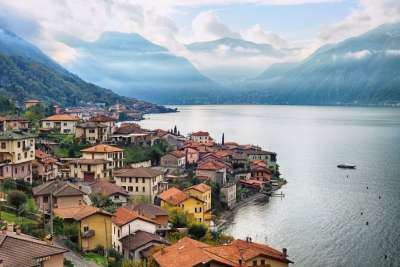 Lake Como is home to colourful villages beside gloriously blue water and grassy, snow-capped mountains. At 120 kilometres in length, there are peaceful spots aplenty - with the eastern shore being the quietest. 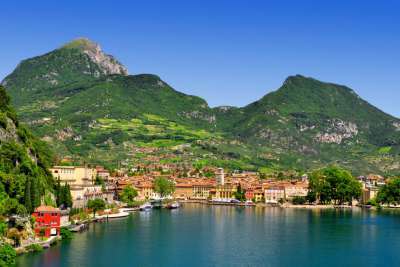 Three and a half hours' drive east from Lake Como sits another of Italy's treasures - the majestic Lake Garda. 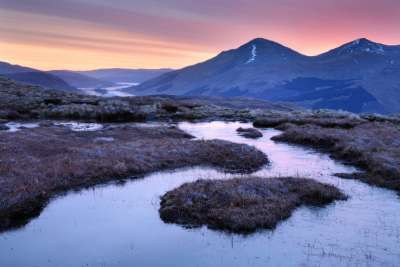 A hotbed for the rich and famous - you'll find trendy cafes and plenty of hiking opportunities. 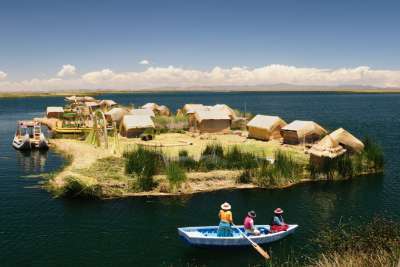 With emerald water and floating villages made almost entirely from reeds, Lake Titicaca on the border of Bolivia and Peru is a photographer's dream. As the highest navigable lake in the world, you'll need to acclimatise to the altitude - but the intoxicating beauty makes it worthwhile! Often bestowed with the 'most beautiful place in England' title, there's no denying the Lake District's breathtaking scenery. Take a soothing boat ride amidst the humped mountains and you'll soon see how Wordsworth got his inspiration! 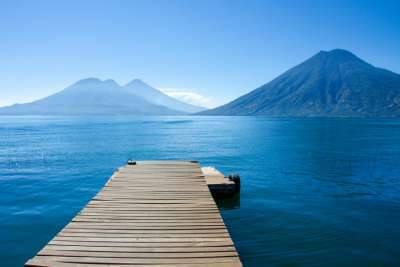 Guatemala's great lake resort has long been renowned for its magnificence. Here you'll find indigenous locals in colourful dress, fishermen in wooden sail boats seeking supper, and plenty of peaceful spots for gazing at the otherworldly volcanic backdrop. 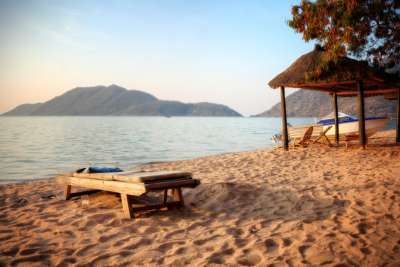 Described as the 'lake of stars' by proud locals, Lake Malawi offers crystal blue water and excellent swimming opportunities. There's a little something for everybody with sand beaches (yes, really), hilly hikes and vibrant villages that welcome visitors. Arguably Slovenia's best attraction, the fairy tale Lake Bled needs to be seen to be believed. The small cobalt lake is an absolute beauty to behold, with the tiny island and hilltop castle adding to the magic. 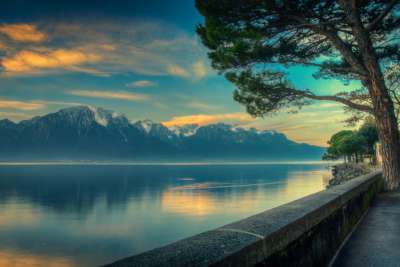 Just an hour's drive from Lake Annecy, sleek and sophisticated Geneva surrounds Europe's largest Alpine Lake. Head to the charming Old Town for quaint cafes, grand architecture and plenty of spots for gazing at the famous fountain that dominates the lake. 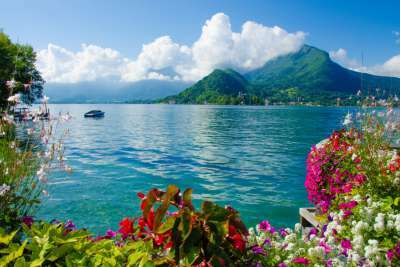 You won't want to spend a moment inside at Lake Annecy - this French resort is a calming combo of colourful fauna, turquoise water, pastel cottages and dramatic mountains. Take a dip, unwind at one of the cosy cafes and cycle around the pretty pathways.